Apple has upgraded its iMac line-up with better displays and more powerful processing capabilities. The US tech giant also revealed the new iMac Pro for professional users that require powerful hardware. Apple’s annual developer conference WWDC held last week is an important event for the company’s marketing department. It typically announces various upgrades and product releases. This year one of the new highlights was the new iMac Pro. Its design supports the latest within real-time 3D processing and intensive VR usage at high frame rates. 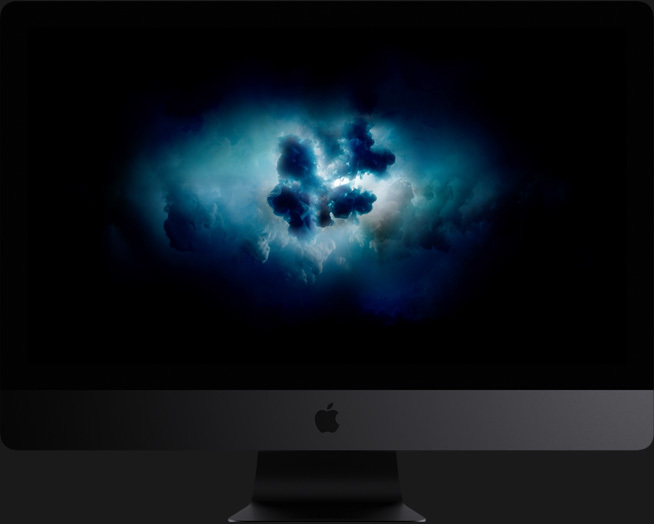 iMac Pro features a Xeon processor that, similarly to the Mac Pro, can be combined with either 8, 10 or 18 cores. It boasts 128 GB of ECC memory. The graphics capabilities are impressive and are powered by AMD’s new Radeon Vega circuits, which brings tremendous speed. Apple claims that a speed of 22 Teraflops can be reached for half-precision numbers. Both the Xeon processor and the AMD graphics chip run efficiently and don’t generate a lot of heat. The hardware, therefore, fits in a 27-inch device. The new flagship computer will launch at the end of the year presumably before Christmas in order for Apple to capitalise on seasonality effects. The pricing is steep and the US price is US$4,999, which converts to approximately NZ$7,960. By comparison, the standard 27-inch iMac costs around $2,000 and the Retina version currently retails at $3,800. Hence, the Pro version is a lot more expensive than existing iMacs. Of course, it’s also a more powerful desktop computer with features that justify its high price.